These poses and sequences are designed to prepare you for Level 2, where similar techniques are incorporated to get you transitioning from one hand/head/arm balancing pose to the other. Each class is developed around these Level 1 CS poses and sequences and are meticulously designed. They incorporate drills and movement work to build endurance and strength, to eventually get you moving upside down with ease. Get ready to experience muscle screaming, sweat dripping control like you never have before. Who is CS Level 1 designed for? Anyone and everyone who wants to build strength, stamina and endurance. Also for those who want to focus solely on the basic poses and transitions. All Hot Yoga practices at Grass Roots Yoga are structured to be a dynamic system of postures and breathing exercises specifically designed for the heated environment. Our classes are not Bikram Yoga classes. 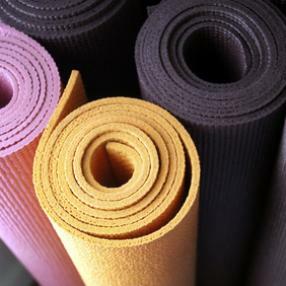 All of our hot yoga classes and are intended to open, strengthen and detoxify the entire body in a hot, hot room. These classes are suitable for beginners. Room heated to 37 degrees. A slower approach to learning the art of synchronizing breath with movement. Standing, balancing and floor postures are included in these classes. Perfect for those seeking a less intense practice while still encouraged into moving towards a new edge. 60 minute class: These classes aim to build you up to the basic poses of Level 1 (headstand, handstand, forearm balance, crow pose) - focusing on strength, technique and flexibility while providing you the one on one coaching that you need. Who is CS Beginner designed for? CS beginner is designed for those of you who are absolute beginners or have minimal yoga or fitness experience. A strong, alignment focused class that cultivates strength, balance, and body mind coordination. Limited numbers of 12. All levels welcome. This class is wonderful for those wanting to slow down but also go deeper within. More time is taken for each posture to come into alignment and stillness. Through the breath linked with the postures, the class will help to cultivate a sense of peace, presence, and relaxation helping to restore the body and nervous system. A dynamic, flowing sequence of postures consisting of standing, balancing, floor poses, arm balances and inversions. This practice will increase your strength, endurance, balance, focus, flexibility as well as patience. This is where all the PLAY happens. A 90 minute high intensity class that focusses on moving from one inversion or arm balance to another, creating effortlessness within your practice. In level 2, we dive further into the realm of control, to a place where your body will discover its capabilities you never thought it had - allowing you to take flight and be comfortable in it. We experiment with contemporary hand / head / arm balancing techniques to get you stronger, faster. Each class is built around the initial structure of a basic CS class, only with more advanced inversions, transitions and sequences. Get ready to discover your body’s true potential. Along with some muscle screaming, sweat dripping control. Who is CS Level 2 designed for? Those who are not necessarily stable in the Level 1 inversions and arm balances but exhibit considerable strength and good awareness over their pelvic floor muscles.